Workplace and academic approved cardiopulmonary resuscitation level “C” is among the most in-depth and popular cardiopulmonary resuscitation (CPR) “only” re-certification class. This specific program is specially designed for candidates that have previously been given a cardiopulmonary resuscitation “C” cert and are required to renew the current certificate. 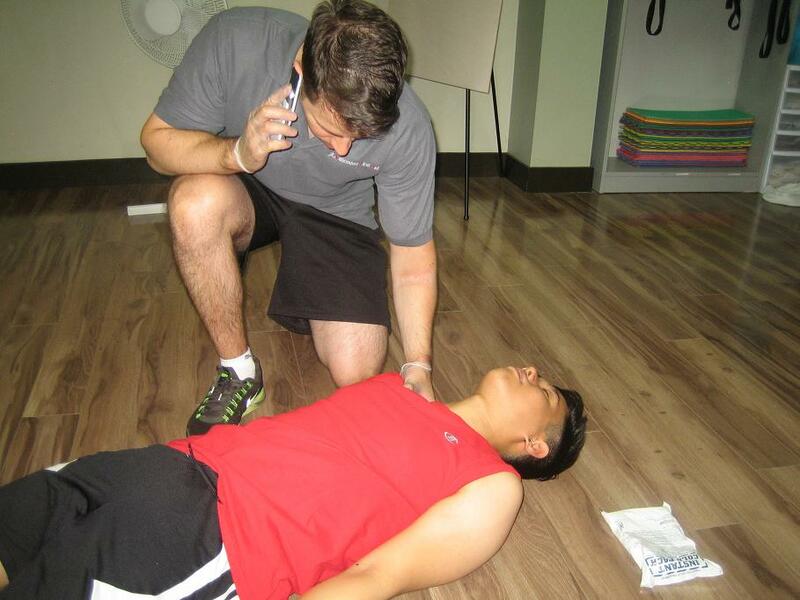 Automated external defibrillator (AED) education and renewal is provided in the class. Customers are not going to obtain any kind of first-aid re-certification within this cardiopulmonary resuscitation “only” course. Students need to make sure that they satisfy the essential requirements prior to enrolling into the class. The re-cert class is shorter and more cost-effective compared to the original program. To register for any cardiopulmonary resuscitation “C” and AED re-certification training course in Halifax browse right down to the base of this page to see the location and date possibilities available. After completion from this re-certification program individuals will receive a St Mark James cardiopulmonary resuscitation “C” and AED award which fulfills numerous recognition requirements. This particular certificate is valid for 3 years. The cardiopulmonary resuscitation “C” re-cert training course costs — and takes roughly 4 hours to finish. Halifax First Aid proudly offers the most competitive prices inside the Halifax region. Candidates are required to have successfully done a cardiopulmonary resuscitation “C” class (or higher) within the past 3 years. Candidates will need to have completed the past course through a credible Canadian service provider similar to St Mark James, St. Johns Ambulance, Lifesaving Society or Heart and Stroke Foundation. If you’re not certain if your outdated certification fulfils the prerequisites feel free to call or email us. To enroll into a workplace approved cardiopulmonary resuscitation (CPR) “C” renewal course within Halifax pick the course starting time and date from the selection below. Application can promptly be executed on-line. Space is limited so register right now to make sure you have a spot within the class. Halifax First Aid offers private CPR “C” and AED re-cert programs. Contact us via phone or email in order to schedule and inquire about a private CPR C refresher training course.